The reading of the full verdict is expected to last several days and the sentencing has yet to come. The defense seems hopeful that the ruling could be announced in the nearest future. “From the information we’ve got, we understand that the court plans to finish reading the verdict this year,” said Vladimir Krasnov, a defense lawyer. The verdict contains 14 files, about 300 pages in each file, which is why the reading is taking so long. 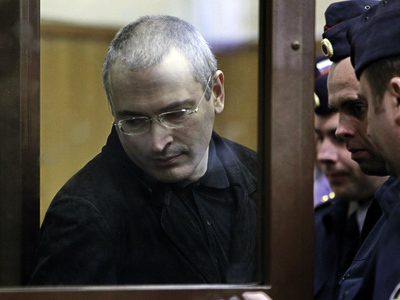 In the first case against Khodorkovsky, it took two weeks for the judge to read the verdict. Many observers are saying that, in fact, this case is much more complicated than the first one. The hearing might continue after the New Year holidays, which in Russia officially last until January 10. Prosecutors are seeking 14 years imprisonment for the accused. However, the term will not start from now, rather it will be backdated to commence from the moment the original trial began, in 2003. Thus, if the judge agrees to the prosecutors’ request, Khodorkovsky and Lebedev will be out of prison in 2017. However, many believe that the sentence could be shorter, especially considering that one of the charges has already been dropped because the statute of limitations on it had expired. There has already been a strong critical reaction from the West. Washington has said that such a verdict will harm Russia’s image, when it comes to human rights. Germany has said that this will be a backward step for Russia in terms of modernization. In response, the Russian Foreign Ministry has called on the United States and on the European Union not to interfere and not to apply pressure on the court’s decision, saying that this is simply a case of a person having to answer for his crimes before the law. “Attempts to pressure the court are unacceptable. We expect that everyone will mind their own business – both at home and at an international level,” stated the official address of the Ministry. The Foreign Ministry has also outlined that some of the offenses that Mikhail Khodorkovsky and Platon Lebedev have already been found guilty of are considered to be severe ones in many Western countries, including the US, where people convicted of some of these crimes can even receive life imprisonment. The judge has said that prosecution provided more than enough evidence and claimed that everything is being done by the book. The court supported charges of the misappropriation of millions of tonnes of oil, valued at US$27 billion. 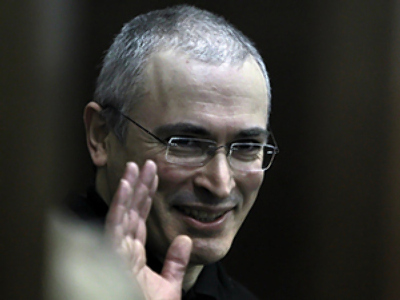 Khodorkovsky is already serving an eight-year term for committing the largest tax fraud in the country’s history. Some of the charges were dropped due to the length of time since the alleged offence took place. The defense reacted by saying it does not agree with the verdict and is going to appeal it. Khodorkovsky’s and Lebedev’s lawyers are ready to take the case to the European Court of Human Rights if they do not succeed in Russia. They are also planning to make a public appeal to the President of Russia, after the sentence is announced. Meanwhile, the prosecution says it is satisfied with the court decision and claims everything is in order. The prosecutors had asked that Khodorkovsky serve at least six years on top of his current sentence. Additional detail of the sentence will take some time to be released, as on Monday, the first day of the reading of the verdict, the judge asked the media to leave the courtroom before proceeding with the sentence. The verdict has been delayed by nearly two weeks. The judge postponed the announcement on December 15 without specifying a reason. The same happened in 2005, when the reading of Khodorkovsky’s first verdict was delayed by the judge with no explanation given. 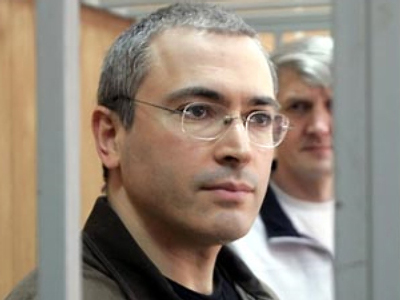 Khodorkovsky is a very controversial figure both in Russia and abroad. The former head of the oil giant Yukos was found guilty of embezzlement, tax evasion, fraud and money laundering. The 47-year-old former tycoon rose to great wealth thanks to one of the world’s largest non state oil companies – Yukos. The company grew from the state sell-off in the 1990s – when government assets were being hived off, often in shady circumstances. It soon became Russia's fastest-growing oil producer. But the path to success had a dark side. Two of Khodorkovsky’s associates were later found guilty of a number of murders. Khodorkovsky has always insisted he is innocent of the fraud charges which put him behind bars, ever since his arrest in 2003. Ignoring his past, many in the West believe Khodorkovsky was singled out for prosecution among the billionaire businessmen because of his political ambitions. The Russian authorities say Yukos is purely a victim to the economic crimes of its management. Public opinion, however, is divided. 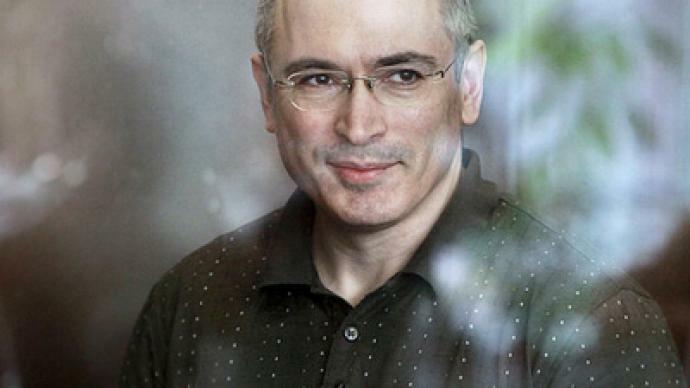 Khodorkovsky’s supporters say he did not break any laws. “Khodorkovsky was not to blame because he had a whole team of very experienced lawyers who used to tell him everything he did was within law – it was the [fault] of the laws that had those loopholes in them," says Mikhail Krutikhin from Rusenergy consulting company. However, there is a strong effort on the part of many in the media and definitely in the West to politicize it as much as possible, believes Viktor Linnik, editor-in-chief of Slovo newspaper. "There is no question that Khodorkovsky, and the rest of the crowd who participated, initiated and were very active in the criminal privatization of the ’90s, are guilty of the crimes they are accused of. So I think very few people would fathom that Khodorkovsky is persecuted for nothing – there is a very strong case against him. Sergey Strokan, a journalist for Kommersant newspaper, believes that most of the Russian public smell a rat in the activity of people like Khodorkovsky. The charges were brought against Khodorkovsky three years ago, but Sergey Strokan believes that the trial was no kangaroo court. The case consisted of more than 1000 pages of information and documents, which require time to examine. “This was not a case without a trial. This is routine work, which requires time, that’s why it took three years [to examine the case]. It’s quite logical,” he says. He also stated that fears that the outcome of this case may somehow affect business in the country are largely exaggerated. “There are other people who believe this will not have any tangible outcome for Russian business environment. I think, that we could get the most appropriate answer if we compared the level of investments next year with this year, and in a year’s time we would see what effect it had,” Strokan says.